So many people assume Mother’s Day is a happy day that everyone celebrates. Unfortunately, this is not true for a lot of Moms. Sometimes, our grown, adult children decide, for one reason or another, that they don’t want to be a part of our lives. I am here to tell you that it hurts more than you can imagine. Thankfully, my child is back in my life, but our relationship is certainly not the same as it was. Thankfully, I found a great, healing book. 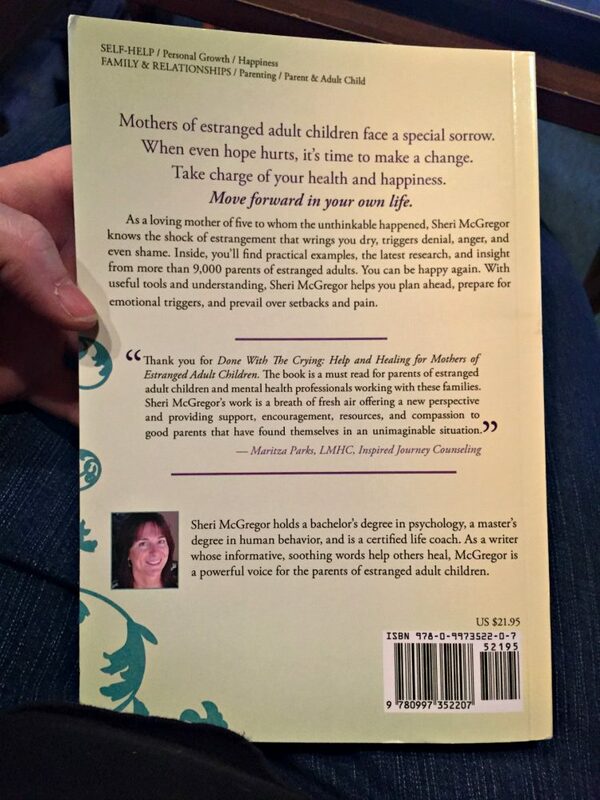 “Done With The Crying: Help and Healing for Mothers of Estranged Adult Children” by Sheri McGregor, M.A. will give you hope! 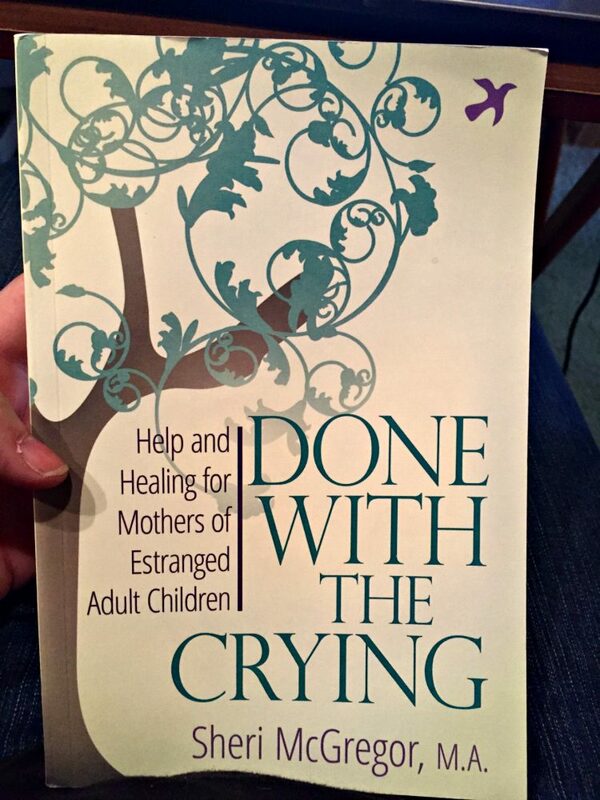 This book doesn’t try to fix your relationship with your estranged child, it helps you to heal and move past the hurt. You can lead a “normal” life without all of the guilt and shame. This is such a taboo subject with so many because as Mothers, we are expected to just accept their behavior. We can continue to love them and hope they come back to us, but we can also live our lives. It is hard to do, but this book definitely helps! Sheri McGregor is a loving Mother of five. She holds a bachelor’s degree in psychology, a master’s degree in human behavior, and she is a certified life coach. If this can happen to her, it can happen to any of us! 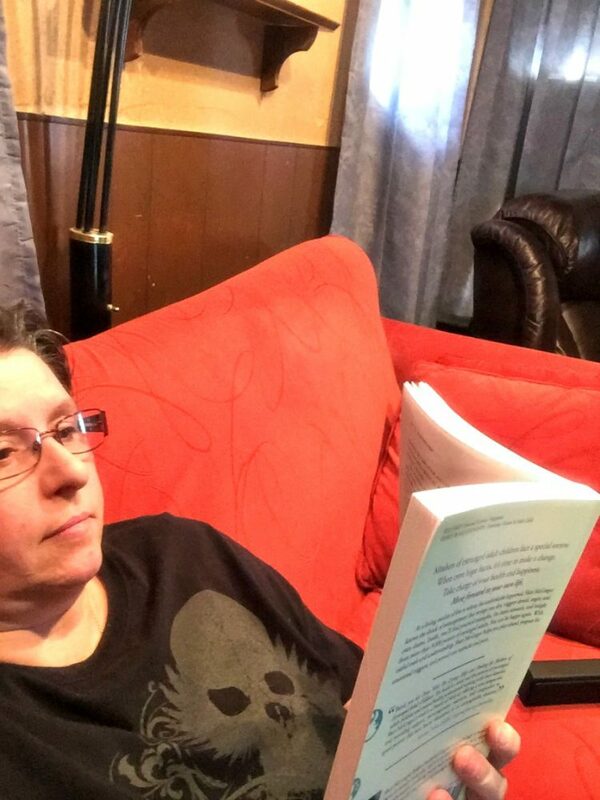 She decided to write this book because after suffering through this herself, she found that there were many more like her. Most of us suffer silently. We all hope to reconcile, but you don’t have to stay stuck. This book gives such hope, and it even touches on how to deal with holidays. That is a very hard time! This can happen to any loving Mother. Whether you are a doctor, teacher, lawyer, or single, divorced, or married, this problem doesn’t discriminate. This book helps you love yourself again. It’s ok to go on with your life! That doesn’t mean you don’t love your child. If any of this is familiar to you, or you know someone going through it, this book will help. It could even make a good gift on Mother’s Day. That is a really hard day when this is happening to you. Just to say that Sheri McGregor’s ‘Done with the Crying’ was a lifesaver for me here in South Africa. Together with her on-line forum, it has also helped heal mothers (and fathers) in Australia, New Zealand, the UK and Canada. So, THANK YOU, Kelly, for promoting it on your website! Pam, thanks for your comment! us from her life a little over 6 years ago. her father and i are gone from her life. Sherry, you are very welcomed. I’m sorry that you are going through this, and I truly hope you find peace! Thank you for commenting! Bonnie, I agree that it is all about the higher power! I’m glad that you are reconciling! I’m also happy the book helped you. Thank you so much for your comment! This is right where I am right now! I am cried out. It had literally gotten to a life or death point with me. Then I woke up one day with the realization, of many things actually, however primarily of the fact that I CAN work at becoming happy again. Seeing my life written in someone else’s handwriting, makes me feel less alone. Thank you!